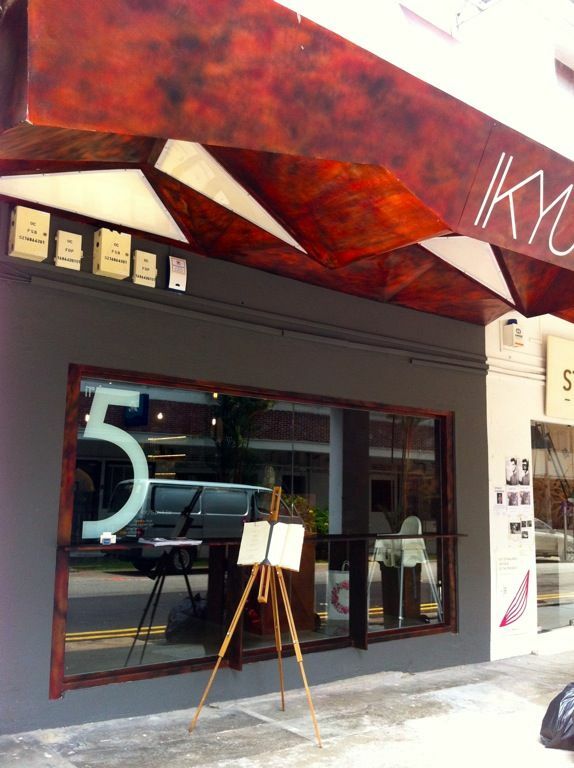 I suppose by now everyone has heard of IKYU (Tiong Bahru) by now. It's a high end Japanese dining joint opened by Executive Chef Takuma Seki, former chef-de Cuisine of Hide Yamamoto at Marina Bay Sands. 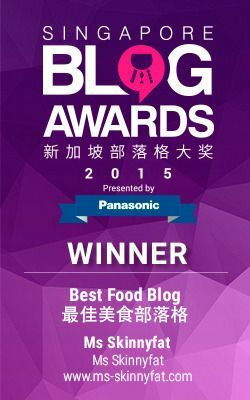 And it is the only Japanese restaurant in the hippie Yong Siak coffee zone in Singapore. Well, honestly speaking, i don't think it's the best location for a Japanese joint. Think about it. 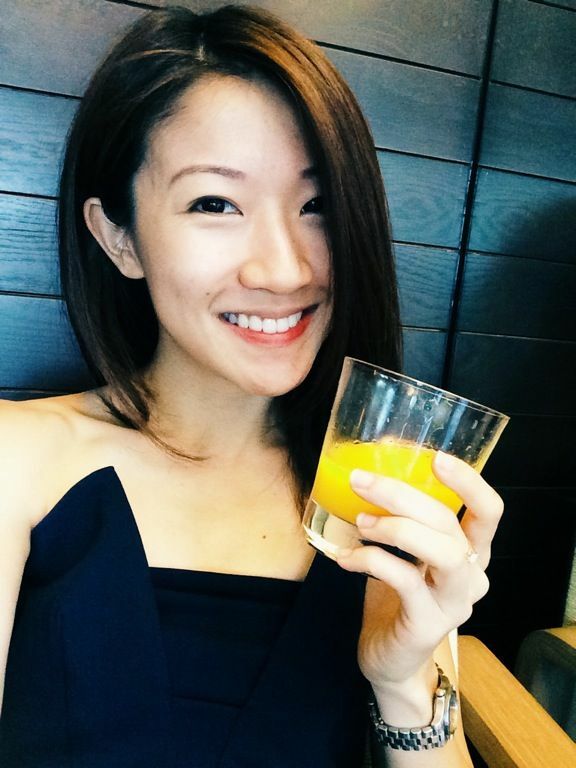 Tiong Bahru is mostly a brunch and coffee enclave (can't you blame me for thinking that?) with 40 Hands, Drips, Open Door Policy, Tiong Bahru Bakery, Poteato and more.. it makes me wonder if a Japanese restaurant would work in the area. The interior is a futuristic industrial jungle made with stunning pieces of brass, bronze and concrete. Definitely an atypical Japanese restaurant and i'm not quite sure how it relates to fine dining or the Zen that IKYU tries to achieve. 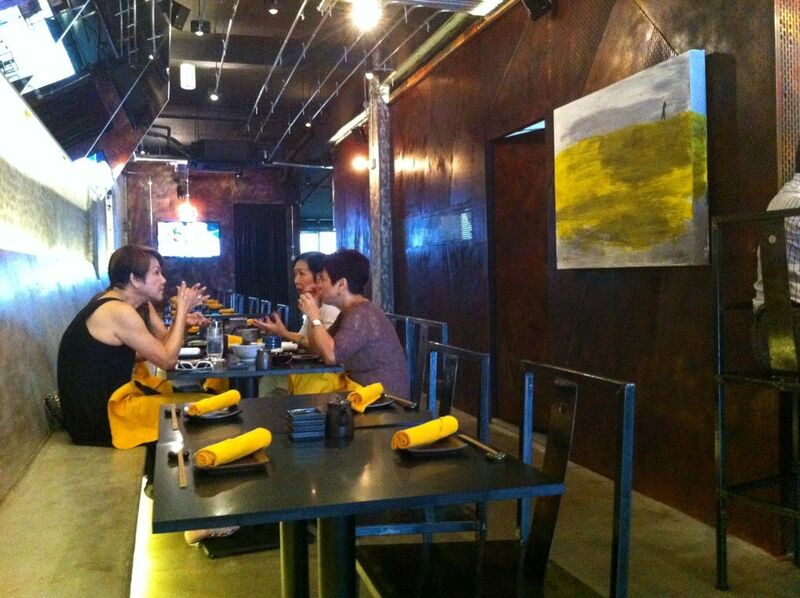 It's not that i don't like the decor, it's just that i feel it works better for an izakaya bar instead. 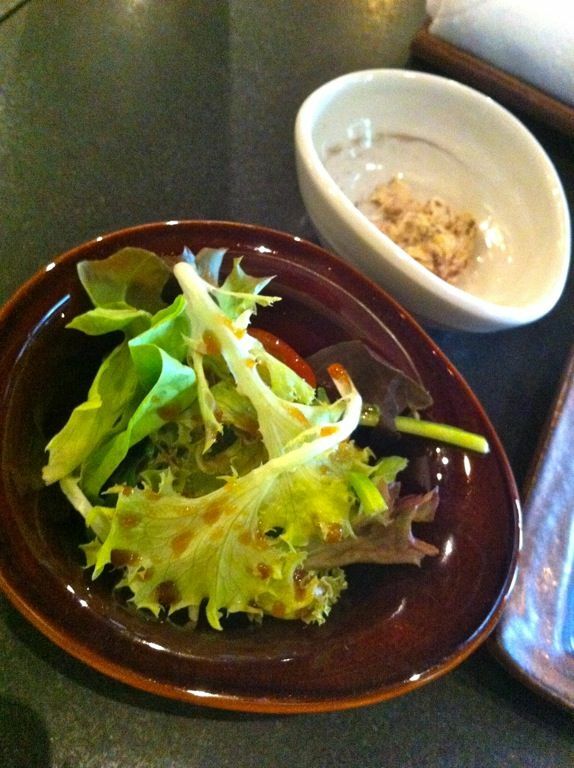 Food wise, the prices are on the high side as IKYU takes pride in using quality ingredients. The fish is flown in three times a week from Tsukiji and so, sashimi prices start from $15.50 for 5pcs of Salmon/Squid/Engawa to $68.50 for 5pcs of Blue Fin Otoro tuna. Sadly, the fish didn't come close to the Tsukiji sort that i've had. The lunch menu on the other hand is a lot more affordable ($25/35) and i'm glad i tried this before even considering their ala carte menu. 4 sets are available and each comes with appetizer, salad, soup and dessert. Pardon the bad quality pictures as it was a spontaneous lunch and the lighting is not the most ideal for food photography. I enjoyed the crab meat appetizer that was served that day. Sweet and juicy shredded crab meat with some sesame dressing. The IKYU sushi set ($35), assorted sushi 6 pieces and roll, is the most pricy of the lot because of the expensive fish from Tsukiji. 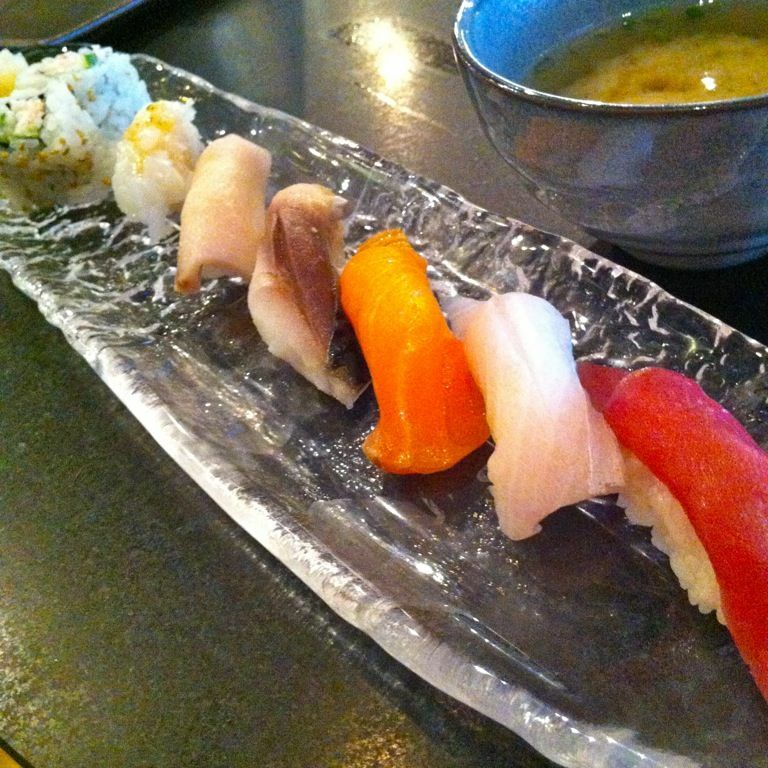 If you have eaten at Tsukiji before, these sushi are like half the size of what you get there. I was perhaps 50% filled after eating this and i don't consider myself to be the biggest eater around (just look at my size). I found the fish to be on the dry side as well. S had the IKYU Chirashi set ($25) which is the same Bara chirashi on the menu ($28 ala carte). Little cubes of sashimi?! You've got to be kidding me. The only other place that i see cubed sashimi is at Sushi Tei and they serve it on their salads. 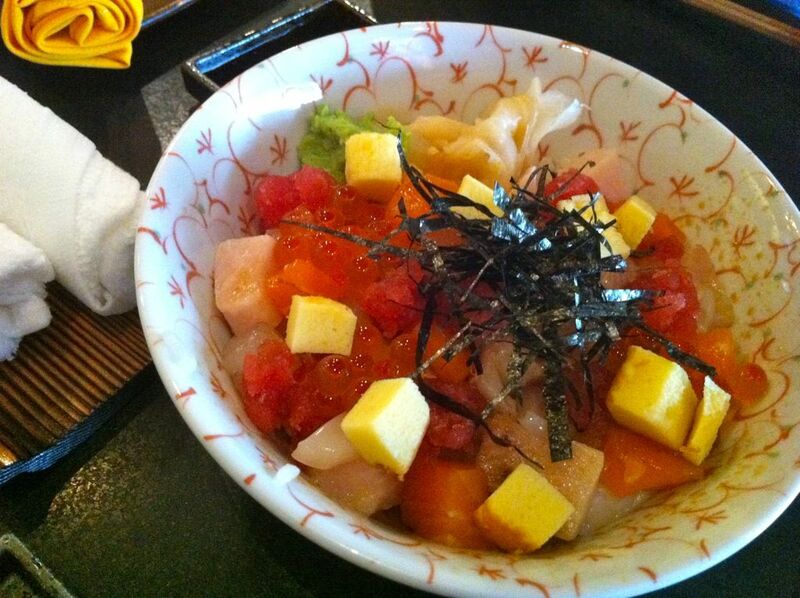 Honestly there are way better chirashi-dons around and i would direct you to my favorites- Chikuwatei and Tomo Izakaya. They give you fresh, chunky, sliced sashimi. Not diced ones. 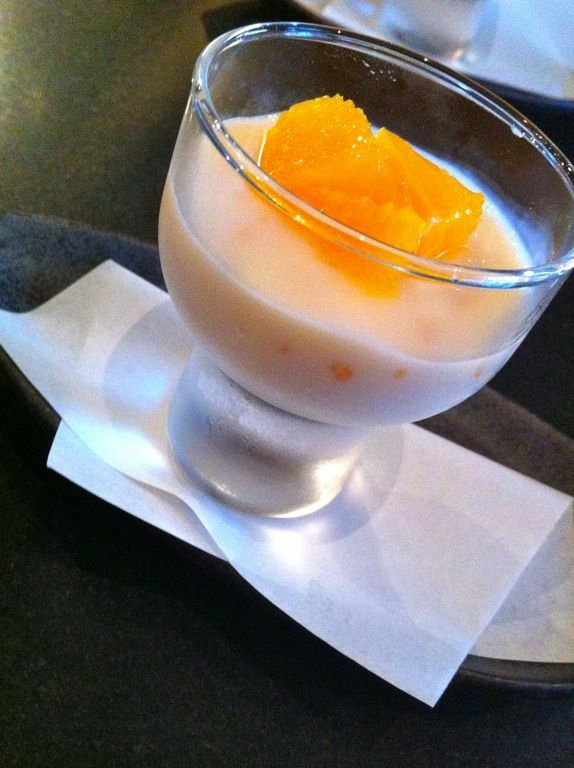 I have no idea what to make of this orange milk pudding that they served us for desserts. Would IKYU work for the Tiong Bahru crowd? I can't speak for the others but it's not my cup of coffee. Pop over to the other bakeries for your brunch instead.